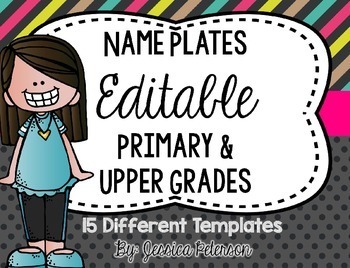 This packet includes editable name plates for primary and upper grades. 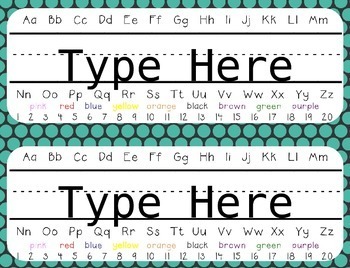 There are 5 different styles for primary and 10 different styles for upper grades. 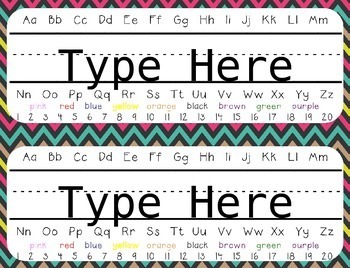 The backgrounds are black and bright, chevron, stripes, and polkadots. Please see the preview for all the templates included. This is a PowerPoint product. 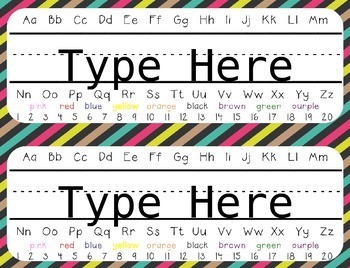 To edit each name tag just click on the text box and start typing. If you like the backgrounds please see my TPT store. I have schedule cards that have the same backgrounds!